So, finally, two books are coming out on January 29 from my new series, “The Big Idea Gang.” A third title will arrive sometime in May 2019. Essentially: a group of elementary school students use their powers of persuasion to make a difference in their local community. The challenge for me was to make that (covert) mission as entertaining as possible for the innocent reader who is seeking a good story. The early reviews have been particularly kind. You can read them here and here. One of my favorite quotes: “Preller addresses topics such as kindness, activism, immigration, community involvement . 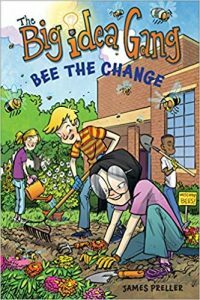 . . A fresh new series nudging readers toward social change and kindness towards others.” — School Library Journal. 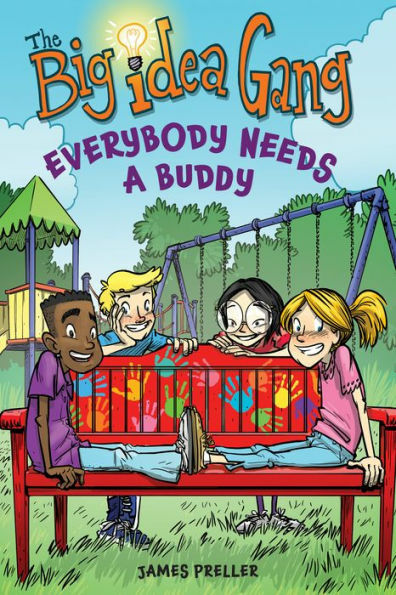 Hopefully you’ll pick up a book and share it with a young reader. 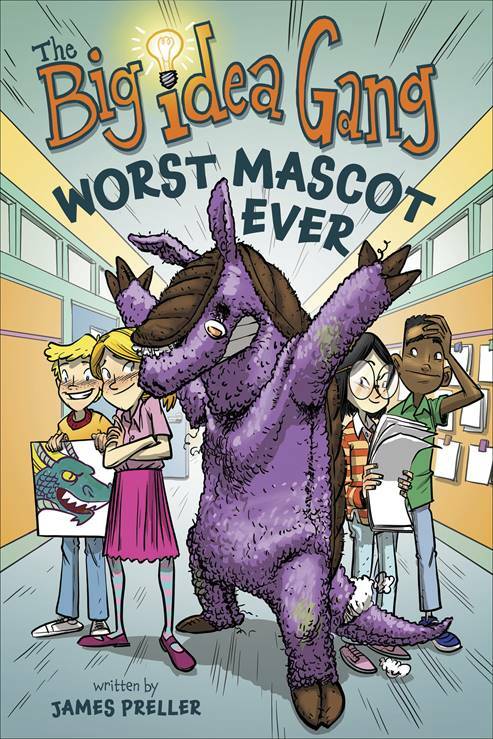 Below you’ll find Chapter One from The Worst Mascot Ever. 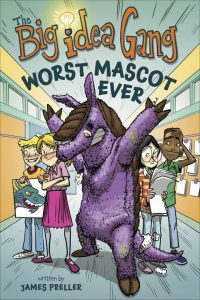 The trouble began when a giant, purple armadillo ran onto the field behind Clay Elementary School. Well, “ran” isn’t exactly the right word. Pointing his right front claw, the armadillo led the charge. He ran forward, but his tail snagged on a tree root. Rip! Whoops! No more tail! Cotton stuffing floated into the air, carried by the wind. Shivering on the cold November afternoon, students of Clay Elementary watched in wonder. They stood huddled together like a colony of penguins. The boys and girls were not dressed for the chilly weather. Most wore running shorts, t-shirts, and sneakers. A few pulled on wool hats and gloves. It was time for the annual Fun Run for Fitness. “Hey, why aren’t you cold?” Connor asked. 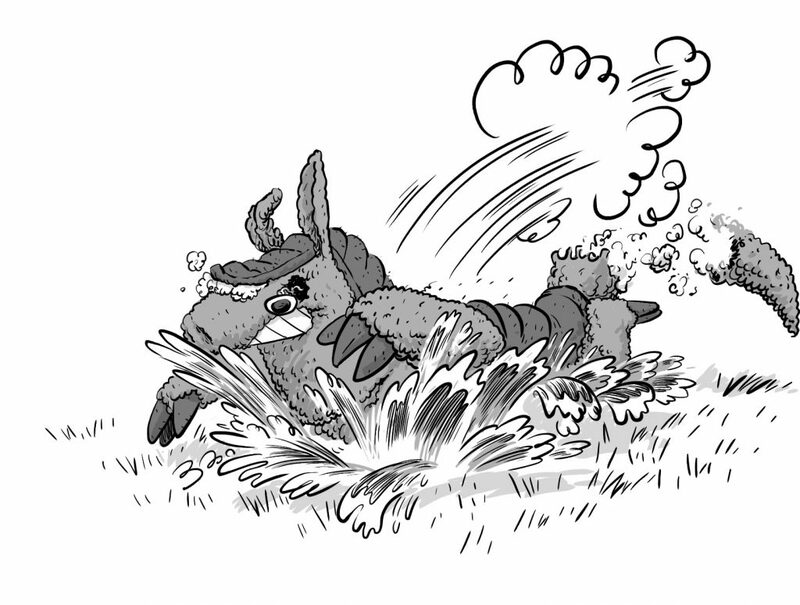 All eyes turned to watch as the school mascot, Arnold the purple armadillo, slipped and tripped and sprawled belly-first into an icy mud puddle. “Whoa, belly flop,” Connor said. “Ladies and gentlemen, the armadillo has landed,” Deon Gibson observed. Connor and Deon bumped fists. “It’s a sad, sorry armadillo,” Deon agreed. Kym had other concerns. 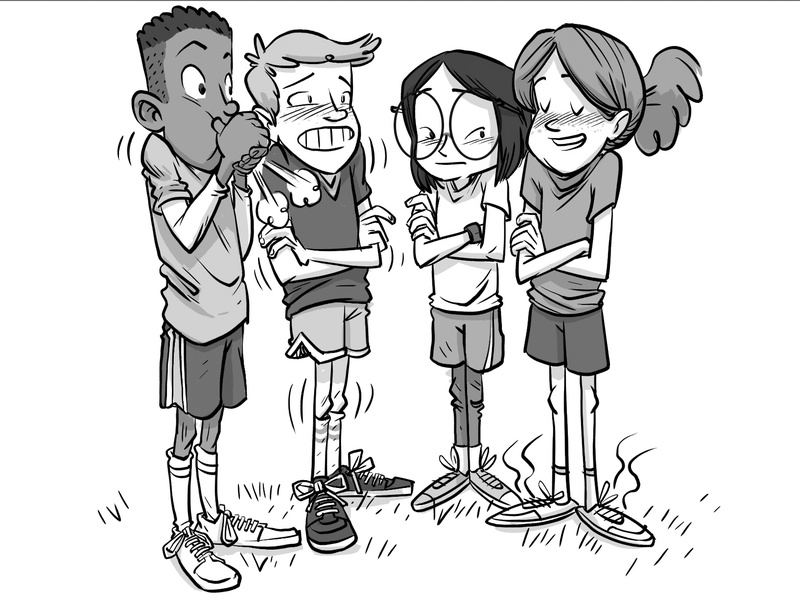 “I hope Principal Tuxbury isn’t hurt.” She was right to fret. Groans echoed from inside the armadillo’s plush-and-chicken-wired head. Ms. Baez, the school nurse, rushed to the fallen mascot. She began yanking on the armadillo’s head. “It’s stuck. Nurse Baez needs help,” Kym said. In moments, students and teachers formed a long chain –- all yanking and tugging on the fallen armadillo’s head. “Oof, huzzuh, gork!” Muffled cries came from inside the mascot. The head remained fixed to the body of the costume. It would not budge. Principal Tuxbury was trapped. “Should we call the fire department?” Kym asked. No one replied to Kym’s question. Because no one heard it. The screaming was too loud. And finally, with one mighty tug, the head ripped off. It flew up into the sky. The long line of tuggers toppled to the ground, heels kicking the air. The grubby mascot sat up. The headless costume now exposed the bald, round, unhappy skull of Principal Larry Tuxbury. He looked around, dazed and confused. From that day forward, it would always be remembered as the best “Fun Run” ever. It was the day the armadillo died.